The Grow is a residential farm and garden community inspired by the rural lifestyle, enabling people to forge a relationship with the land and each other amongst a working farm, community gardens and social amenities in an idyllic setting that is steeped in nostalgia and mindful of nature. Along with the many benefits The Grow’s own residents will enjoy there is an array of public amenities developed with the community that will benefit residents of the wider Central Florida area. 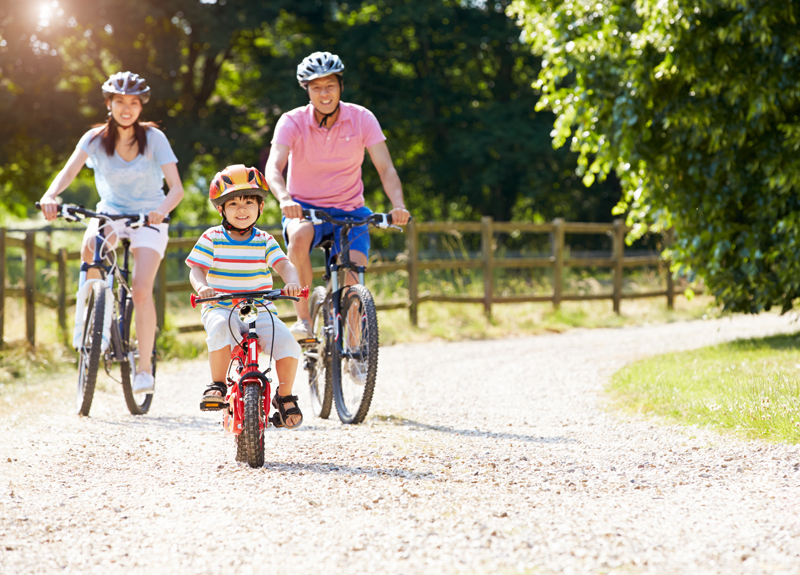 These public amenities include an Elementary School site, a 20-acre Community Park, a weekly Farmers Market and miles of all-season, multi-use, Recreational Trails. 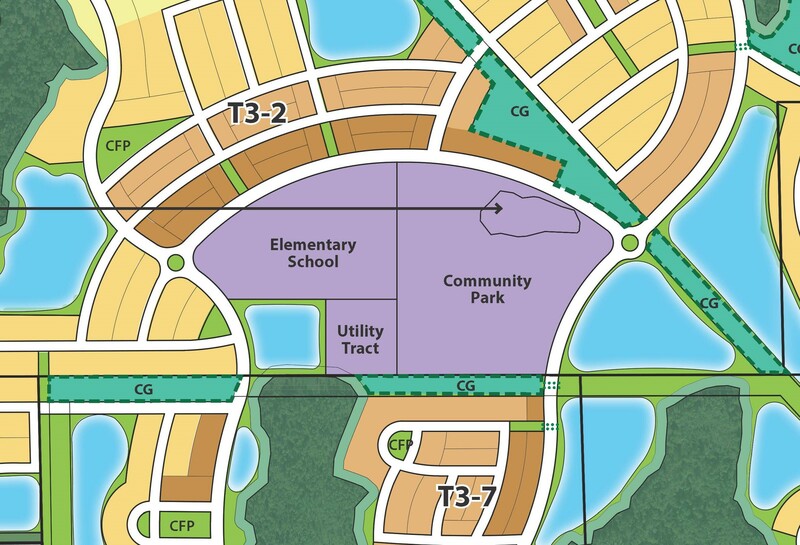 That’s not to mention the downtown area adjacent to SR 50 featuring Central Florida’s only Farm-AND-Table restaurant and a mix of other retail and commercial uses within steps of the 9-acre Working Farm and Edible Landscape Trailhead. At the heart of the community is the Elementary School Site and 20 Acre Community Park. 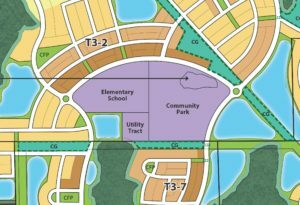 Orange County Public Schools will develop the Elementary School and Orange County Parks and Recreation will develop the adjacent Community Park. These two amenities are located in the center of The Grow connected to the residents by internal vehicular roads and by a network of multi-modal trails. To encourage residents to leave the car in the garage, often times the distance to the center of the community is shorter when traveled by trail than by vehicular roadways. The Farmers Market Street was designed specifically to host the market with an increased width and the ability to be closed off from vehicular traffic. The market will be open to the public and will feature The Grow’s own farm-fresh produce as well as goods from local vendors. 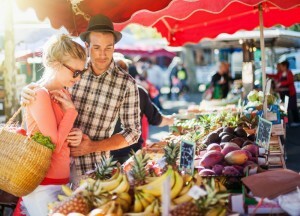 Imagine shopping at the Farmers Market with a view of the working farm, where the produce was grown, in the background! It doesn’t get any more local than that! At least 12 miles of trails will connect all corners of The Grow together. The trails will be shaded with vegetation where ever possible and have refreshment stations along the way to encourage use in all seasons. Portions of the trail system will feature edible landscape to be discovered and enjoyed seasonally. The trails are open to the public and feature key landmarks within The Grow such as The Working Farm, Farmers Market, Community Gardens, Lakefront Parks at Corner Lake and Lake Tanner, the Elementary School, Community Park and the Equestrian Center. For these reasons and many more The Grow is good for Central Florida! Sign up for our interest list to stay updated on the latest news.